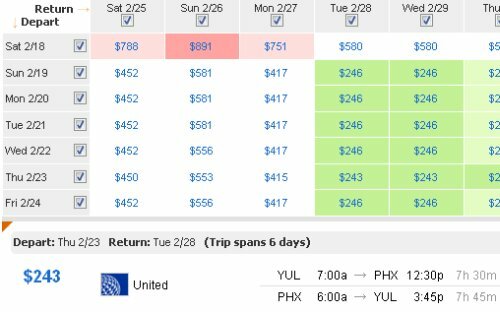 Don't believe I've ever seen flights from Montreal to Phoenix this cheap before. They're about half of what they normally bottom out at. Seems to be available on fares all the way up to the end of 2012, even over Christmas! montreal, yul, flight deals, united states, phoenix, arizona and phx.